In the report, Scholz notes that the gig economy financializes resources that were previously outside of the market. Our cars, our apartments, our private time – all can now be monetized through corporate platforms and made subordinate to market forces. In effect, this new system is “embedding extractive processes into social interactions” and “extending the deregulated free market into previously private areas of our lives,” writes Scholz. It is not widely appreciated that a key element of the gig economy is to skirt the law if not overturn it. Illegality is a core element of the business model for companies like Uber, explains Scholz: First they ignore federal and state law for worker and consumer protections by creating a new kind of network-based marketplace relying on “independent contractors,” not “employees.” Then they invoke their growing customer base to persuade legislators that, as jobs-creators, they should not be subject to “archaic” regulations. Lobbying to thwart or roll back such protections is in fact a core element of the business strategies of Uber, Airbnb and Amazon. 3. reframing the ideas of innovation and efficiency with an eye on benefiting all, not just delivering profits to the few. He proceeds to introduce many types of cooperative platforms and the ways that they could or do run. They include city-owned platforms such as the Munibnb, now under development in Seoul, South Korea, as an Airbnb-like platform. But instead of siphoning away money to investors and encouraging “ghost neighborhoods” rented out to tourists, Munibnb would use profits to fund public services and give apartment owners higher rental fees. Scholz also describes “produser-owned platforms” in which users are the producers (hence “produsers”), so that sites for stock photography or streaming music, for example, could be owned and managed as coops. Another example: Unions could create their own virtual hiring halls and turn profits into social benefit. 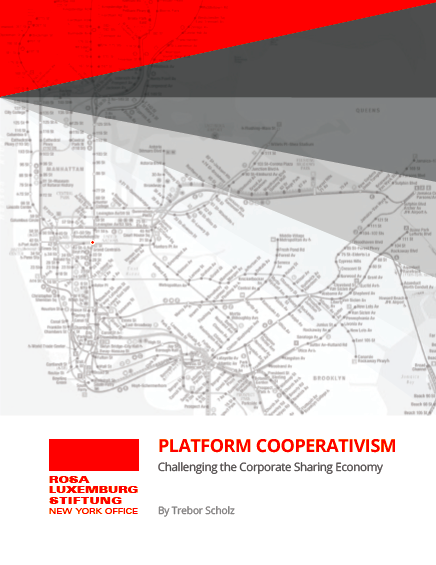 Scholz proposes ten basic principles for the management of platform cooperatives. They focus on such matters as ownership, decent pay and income security, transparency and data portability, appreciation and acknowledgment, a protective legal framework, and portable worker protections and benefits. This vision clearly requires more to make it real, such as new forms of financing for coops, such as crowdequity and small investors. 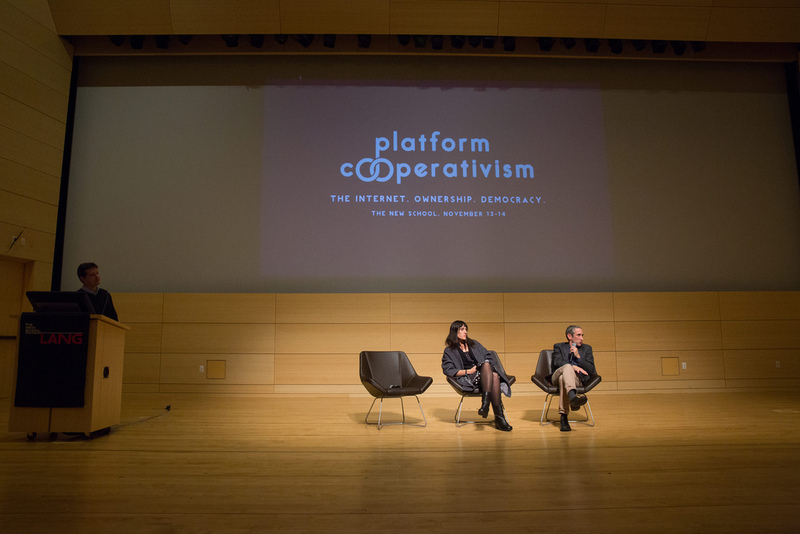 The Platform Cooperativism report does a great job of outlining a compelling agenda for countering the “sharing economy” with workable, democratically owned alternatives. Of course, the big challenge that remains is actually building this cooperative social economy.